Not all of my supplies fit in one bag and this looks like a great solution. I don’t have a traveling pump bag and I am about to go back to work. I would love to have a bag that would make this time easier and somewhat discreet. I currently use the bag the pump came in. It doesn’t have any pockets for or storage at all which is super inconvenient. My husband and I are currently moving overseas for his job, he’s in the Coast Guard, and it’s been such a mess trying to keep the pump safe and organized. Being able to keep things in tip top shape for our new life journey would be huge! I’m newly pregnant and just starting to figure all this stuff out – a backpack seems like a great idea! I fly for work all the time and am dying for an efficient and easy way to transport my pump, milk, etc. this would be great! I don’t own one yet and would love the convenience of it to return to work since I float across multiple areas in a hospital. I don’t own a pump bag. I use my diaper bag and it’s a pain to unpack and pack all the time. I’m headed back to work in a few weeks and dont have a pump bag yet. I’d love something that I can fit everything in so i dont have to drag a purse along, too. I’m currently using a tote bag from a friend so the backpack would be awesome to have! I’d love a pumping bag because I’m using a cloth tote right now and it’s not ideal. My family lives an hour away from me so I frequently drive to see them and could use this bag to make life a little easier for me and my 10 week old baby. Thank you for the chance. I have a beautiful baby boy and was determined to breastfeed from day one. When that was not a possibility because of latching problems that we could not resolve, I committed to exclusively pumping. 9 months later, I am in it for the long haul. I am derrrmined to continue giving him breast milk for the next 9 months. It has been one challenge after another, fitting pumping into daily life while working and being a mom is one of the hardest things I’ve done but I’m so grateful that I have been able to stick with it. I don’t have a backpack, I think it could make things easier tho! I just want to say too that I’m so proud of all the moms out there that are exclusive pumpers! 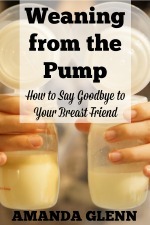 I never thought breastfeeding and pumping would be so difficult! But I somehow managed to exclusively pump and give my baby 100% breast milk for the first 7 months of his life. I feel super accomplished but now that baby number 2 is almost here I’m terrified to do it all over again. I never actually knew there was a breast pump backpack. It seems AMAZING! Having to drag around my Spectra S2 in a reusable grocery bag was stressful and didn’t even fit all of the parts. This would make life so much easier when we are going out. Especially when I’ll be pumping 6 times a day. I don’t own one and would love to have something to keep all my parts and bottles organized! As an EPer to my 11 month old I could really use a new bag, mine is on its last leg! Thanks for the opportunity! I have been pumping for over a year and have never had a bag! My goal is one more year and a pump bag would make this last year so much easier. I also plan to pump for my next baby, in the future, so I can save this and have it ready in a few years as well! As a pumping preemie momma (having to use a bottle in the hospital prevented a good latch), I am constantly lugging around my pump and accessories. I’m always worried about keeping them together and sanitary for my sweet little man, as I was unaware that there was a universal bag to fit my pump. This bag looks fantastic! It would make my life a lot simpler, save me time, and make the transition back to work just a little bit easier! I’m a NM and this backpack would make ep’ing so much easier! Plus it’s adorable! I love the look of this bag. 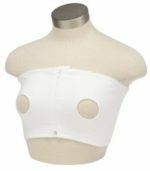 I don’t currently have a bag for my pump because the Spectra is slightly awkward for fitting in most Breast pump bags. It is also so handy to have insulted pockets. I am a school based social worker in South Central Los Angeles – working in the schools leaves little space and time to get my pumping in. But being able to provide nutritious food for my little one is a major priority for me so I have been working hard to make it work. As of now I do not have a pump bag, and am using a cooler and a beach bag to lug my pump, parts and fresh milk around South LA!! This backpack would truly be life changing! I would love a pump backpack! I am exclusively pumping and I have been using a regular school bag. to and from work. It would make life so much easier. This would be great to have when going back to work! I don’t have a pump bag now. I would love to have a bag that is exclusive to my pumping needs 🙂 I currently use a regular backpack that need to clear out everyone I need to use it for something else…. I also travel quite a bit, so I guess it would come really helpful! What a great giveaway! This backpack would be so helpful as I return to work. Thanks! What a great giveaway and a wonderful tool for all pumpers out there. I know I would put it to good use, as I am an exclusive pumper for my daughter who was born with a CCHD and didn’t have the stamina to nurse. 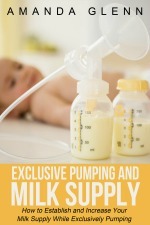 We’re so lucky that pumping worked out for us and this would help us keep going strong now that we are more on the go. Thank you! I carry my pump in a variety of bags and now that I have to travel for work, a backpack with extra storage would be helpful on the commute, while traveling, and at the office. 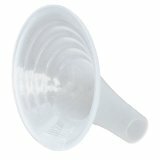 I don’t have a breast pump bag and it’s been hard trying to find out that fits my needs. I need something versatile with lots of pockets! This backpack would be absolutely perfect for me when I return to work soon. I plan to continue pumping and need something versatile. Whenever we go out i always have to carry atleast 3 bags with me, one for my pump, one to keep the milk cool, and the bulky diaper bag. It’d be more convenient to have eveything in one place. Especially when getting down from the car. I usually have to make 2 trips from the car just to get my baby and everything else. I’m using the bag that came with my Spectra, and it is not very functional—would love a breast pump backpack! I have been back at work for a little over 2 weeks, and the straps on the pump bag I’m using (which is actually a big bag I bought that I use as a pump bag) is already falling apart. I was trying to save money because a good pump backpack is expensive, but that backfired! I’m a nurse and I carry so many other things to work with me that a backpack would be perfect to get my pumping supplies safely to work each day. My current 31 bag is falling apart and a backpack would definitely be nice to have with my full time job commute. I don’t currently have a pump bag. I use a shopping bag, but it doesn’t work well. I also love the backpack design. I’m not a big purse girl, so this backpack is perfect. Would love a nicer, more discrete bag to take to work. With kids two-under-two in tow, the ONLY way to travel is with functional backpack storage. It totally pays to be hands-free. Why not have a little style as well? This bag looks fantastic. Thank you for considering! This is backpack is stylish and efficient. Love it! I currently don’t have a bag so this would make things so much easier as I put as much as possible into ziploc bags. I would love a pumping backpack because it would making getting in and out of work much easier with all of my other bags that I have for work. I have 3 month old twins that I exclusively pump for, so this bag would be great to keep everything organized on the go!